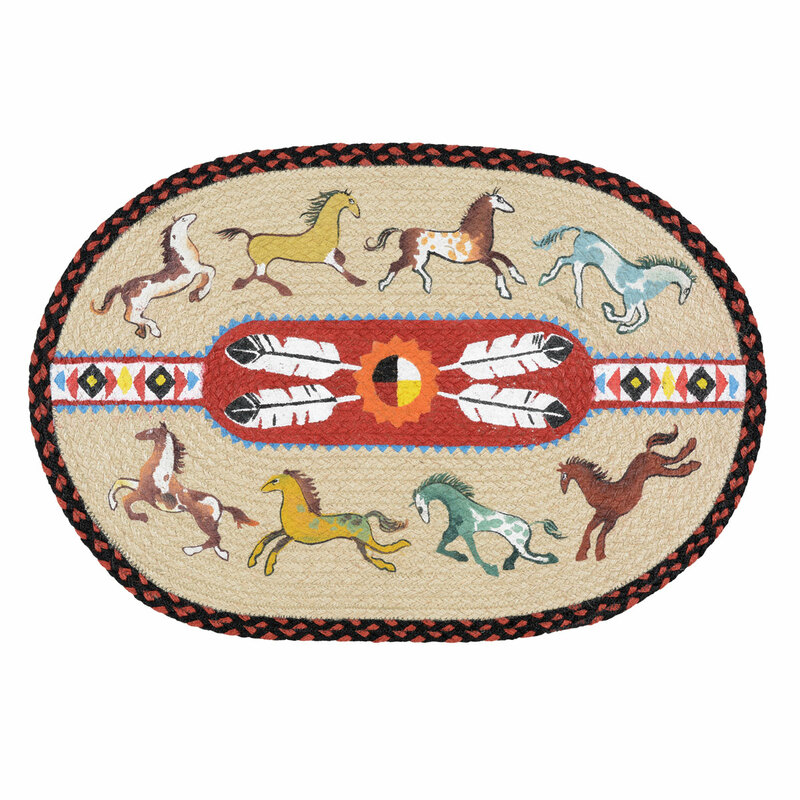 A Lone Star Western Decor Exclusive - Hand-stenciled horses cheerfully gallop around the border of this braided natural jute rug. Spot clean. Rug pad recommended. 20"W x 30"L.